Braves advance to the Championship series to face Revere. 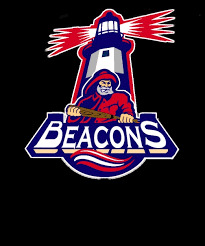 Congratulations to the McKay Club Beacons on a hard fought series and a great season. Smith throws 6 strong allowing just one hit and striking out 7 as the Braves even the series 2-2. McKay Club walks off in bottom of 7th. Richie DiMartino blasts a double that scores Sam Steeves from 2nd to win 5-4. The Braves out up a big fight all night. Coscione 2 for 4 for Braves.